Last WAYWOF before Xmas. Let's get this party started. Worthy of a couple of pics I think. Heuer Carrera Dato 3147N for me today. Hell of a Heuer collection going on here Luther. Have a good weekend chaps, drive safe! Joy! Last couple of hours and then 3 weeks almost. Have a great weekend chaps, and be safe if you indulge in a few aprés work beers! An early Christmas present from my girlfriend. 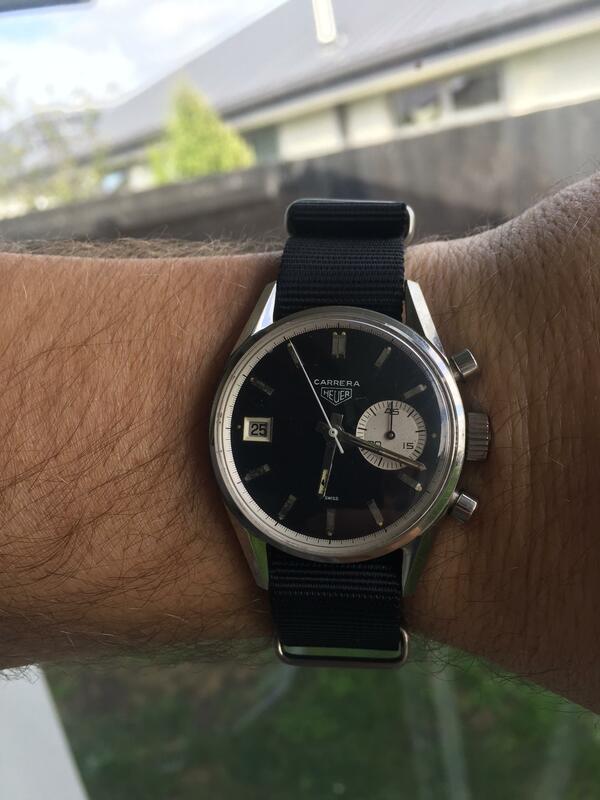 60's 1191 with Venus movement. Paired with a genuine Breitling strap - she's a keeper alright! the watch or the woman ? Off 25/26 Dec but that is it!!!! Last edited by drdunc; 21-12-18, 18:09. I wish I had a Skydweller! All times are GMT+12. This page was generated at 14:57.